A cross-department initiative has begun to examine how best to address details emerging about "mother and baby homes" and the burial of deceased children. In a statement issued this afternoon, Minister for Children Charlie Flanagan said the initiative would result in a report to Government on how best to address "a shocking reminder of a darker past in Ireland". "Relevant Government departments have been tasked with working together in preparation for the Government's early consideration and determination of the best course of action," he said. 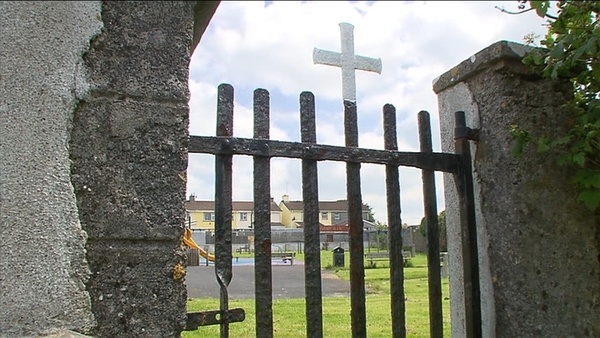 There have been calls for the Government to investigate the details surrounding the death and burial of nearly 800 babies and toddlers in a mass grave in Galway. 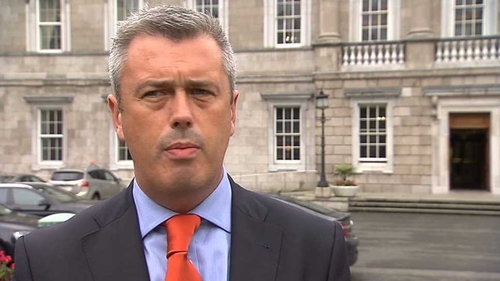 Fianna Fáil TD Colm Keaveney said the Taoiseach should offer a formal apology on behalf of the State for what he described as "appalling treatment of mothers and babies". Mr Keaveney told RTÉ's News at One that there is "no excuse for silence" on the issue. The infants were buried without coffins in the grounds of a former Bons Secours home for unmarried mothers in Tuam between 1925 and 1961. The grave was discovered in 1975. The Tuam native acknowledged the work of local campaigners for bringing the discovery to the attention of the public. He said: "We need to hear from the Taoiseach today about the Government's plans to investigate the circumstances surrounding the deaths of these children. "I believe it must begin with a wholesome apology from the Taoiseach on behalf of the State. "These infants were Irish citizens and the treatment of their mothers was grossly unacceptable. "We cannot pursue or progress social or economic policy in this country by slamming the door on the past by refusing to have a transparent or open debate on this issue." Minister of State at the Department of Education Ciaran Cannon has also called for an inquiry, including a garda investigation, into the deaths of the babies. Speaking later on RTÉ's Six One News, Mr Cannon said there is a need to honour the memories of the infants by determining the real truth behind their deaths. He said a scoping exercise needs to be carried out to establish what type of inquiry should be conducted into the deaths. Mr Cannon said the Government would be drawing on the expertise used in the preparation of the Magdalene Laundries report. Meanwhile, Adoption Rights Alliance Director Susan Lohan said the State knew about mass graves for babies for a long time. Ms Lohan called on the Government and the Department of Justice to speak out about the issue. She said Minister for Justice Frances Fitzgerald knows "all too well about the issue" because the Adoption Rights Alliance and other groups have been sending her material since she took office as Minister for Children in 2011. The alliance is calling on the Government to carry out an inquiry into around 25,000 Sacred Heart adoption files that were "dumped" with the Health Service Executive in 2011. Ms Fitzgerald received a report on the issue on 24 July last year, Ms Lohan said. Mass graves located at former mother and children homes in Bessborough, Castlepollard and Roscrea have also been highlighted. These homes were run under the partial English order, The Sacred Heart of Jesus. Figures have indicated highly erratic mortality rates, namely in 1943. The Bessborough order had a 57% mortality rate in that period, while a national average of 15% has been estimated. Findings on birth certificates have also suggested that malnutrition was a major cause of the deaths. Ms Lohan explained that one issue was that nursing children were not adequately breast-fed. In a statement this evening the Archbishop of Tuam Michael Neary said he was "greatly shocked" to "learn of the magnitude of the numbers of children buried in the graveyard in Tuam." He said he was made aware of the extent of the situation by media reporting and historical research. Archbishop Neary said he is "horrified and saddened to hear of the large number of deceased children involved and this points to a time of great suffering and pain for the little ones and their mothers." Regardless of the time lapse involved, he said, this is a matter of great public concern that "ought to be acted upon urgently." He said that as the diocese did not have any involvement in the running of the home in Tuam, it does not have any material relating to it in its archives. He said that the Archdiocese of Tuam will co-operate fully with the cross-departmental examination of the burial arrangements for children in mother and baby homes. "Nonetheless there exists a clear moral imperative on the Bon Secours Sisters in this case to act upon their responsibilities in the interest of the common good", he said. Archbishop Neary said the Diocese will continue to work with the Bon Secours Sisters and the local community to provide a "suitable commemorative prayer based memorial service, and plaque, and to ensure that the deceased and their families will never be forgotten." It will be a priority for me, in co-operation with the families of the deceased, "to seek to obtain a dignified re-interment of the remains of the children in consecrated ground in Tuam", he said.